The nose piercing is known for its subtle looks. Obviously due to its small size. But still, there are more than enough nose piercings with a striking stone that manage to get their fair share of attention. 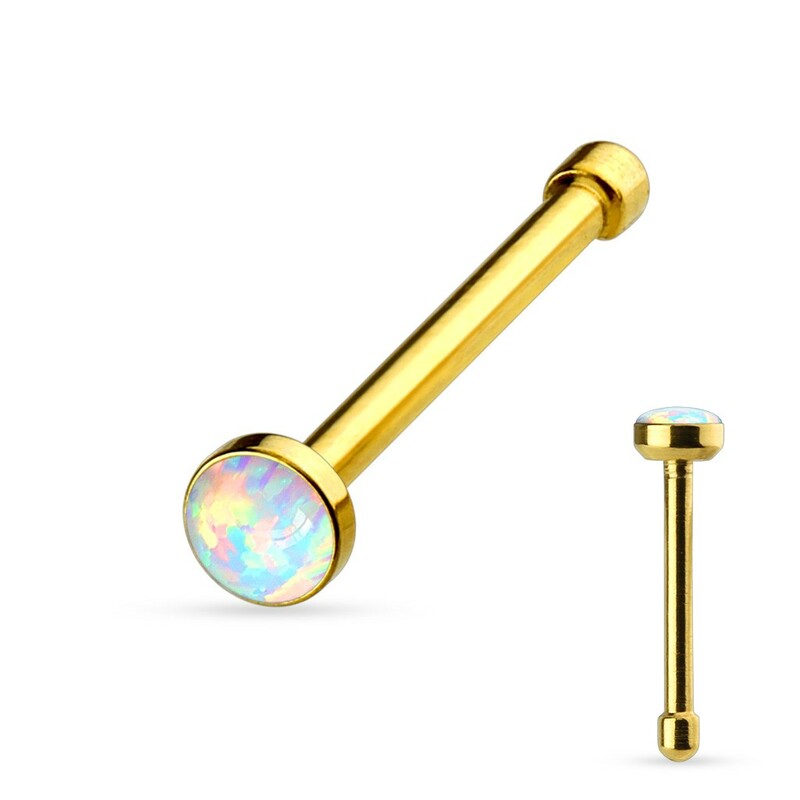 As is this plated nose piercing with a flat and white Opal stone. The white Opal stone gets a striking glimmer when hit with light. With its off-white color it knows how to be perfectly visible despite it's modest stone of 2.5 mm. 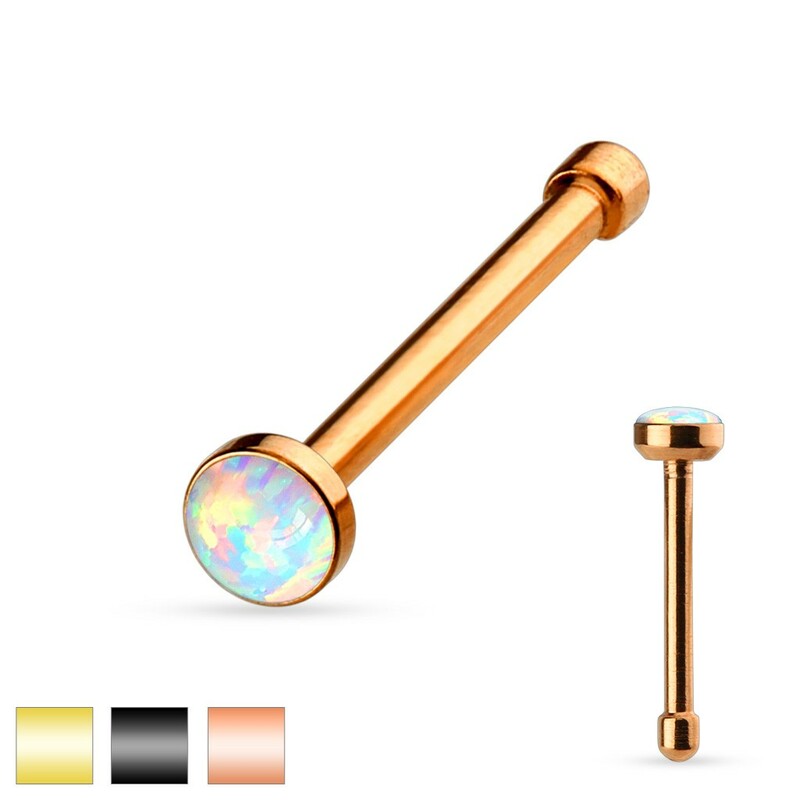 This nose piercing is a nose bone piercing. The bottom has a thickening which can be pressed through the nostril. The thickening also prevents the nose piercing from falling out.